Most of my published books can be purchased here. 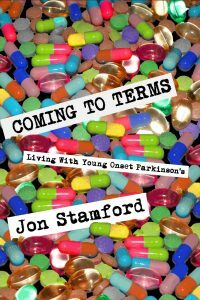 Click on each book to be directed to the relevant publisher’s page or an appropriate online bookseller. 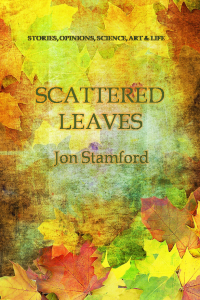 Scattered Leaves is the latest, a sort of ‘greatest hits’ compilation. ‘Life is what happens to us while we are busy making other plans’, according to a quotation often erroneously ascribed to John Lennon. This book is testament to that philosophy. No matter where you head in life, unexpected events have a habit of derailing those plans, often substituting others of greater or lesser allure. All you can do as a writer is accept these offerings and try to make something of them. Some things in life are greater than the sum of their parts. On first inspection, Scattered Leaves is a collection of short essays on a range of subjects, written over the last decade. But, dig deeper and find that it is also a pricking of the collective conscience, an evocation of memories and cultural points of reference from sixty years of life and experience. Everything from reminiscences about steam railways to cautionary tales about climbing Everest. From cricket and other sports to opera and culture. From movable feasts to immovable sandwiches. From short stories to tall tales. Above all they sum up Jon Stamford’s cheerfully iconoclastic take on his subject matter, poking fun at life, the universe and – who knows – maybe anything and everything. All of life is here, couched against a background of chaotic family life with teenage children, dogs, guinea pigs and chickens. This is not a sequential narrative – nothing in life ever is. More something to dip into. Essays are numerous and short, bite-size if you will. Think of it as a box of chocolates. Pick out the strawberry creams and skip the hazelnut whirls. Dip in. Enjoy. 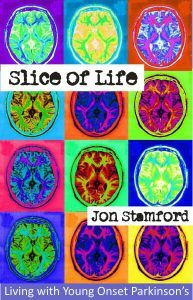 Slice of Life and its sequels (Coming To Terms, A Piece Of My Mind and Heads Or Tales) are books with the same content as Scattered Leaves but with detail about life with Parkinson’s. 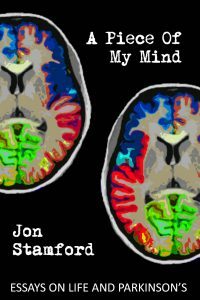 Update: The above 4 books were retired in May 2018 to make way for Scattered Leaves, a compilation free from Parkinson’s, available shortly. 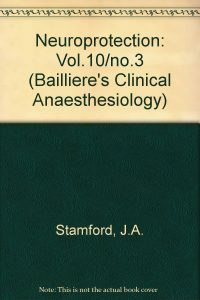 Copies of these original titles may still be obtained from the author. These are my three science books. Monitoring Neuronal Activity was first published more than a decade ago and is largely of historical interest. To the best of my knowledge it is out of print. Research neuroscience changes quickly and techniques that were at the vanguard of neuroscience when described are soon supplanted by more interesting and new methods. Despite this, second-hand copies of this book change hands for ridiculous sums of money (I have seen £100 asked on one website). Neuroprotection is also largely outmoded. Research moves quickly and what we knew then about neuroprotection in the context of cerebral ischaemia and traumatic brain injury is now largely old hat. 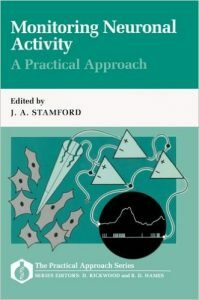 Still, it was a fun book to write at the time and a good collaboration with my professor and then President of The Royal College of Anaesthetists, Leo Strunin. 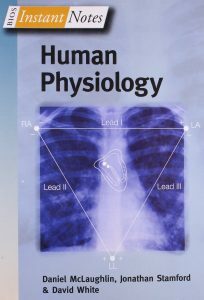 Instant Notes in Human Physiology is an entirely different kettle of fish. I was very kindly asked by my good friend Danny McLaughlin to contribute a few sections to his book. For Danny it must have been like squeezing blood out of a stone. I have never been the easiest writer to work with and this volume is a testament to Danny’s patience. At the end of the day it is a pretty darn fine book but the credit for that goes to Danny and his colleague David. I’m just flattered to have my name on the cover with them! 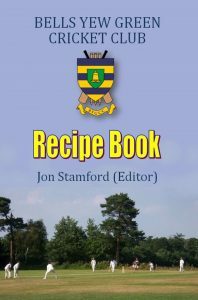 The Bells Yew Green Cricket Club Recipe Book is an interesting project, intended as a fundraiser for the club. But recipe books don’t age so this one is just as relevant today is it was five years ago. There are some good recipes in here as well divided into Openers (starters), The Middle Order (main courses) and Tailenders (desserts) along with suggestions for The Drinks Interval. There is even a recipe by one of the England players. But whether you’re interested in cricket or not, the book contains something to interest anybody in the kitchen. So put down those bats and pick up the pans. I started making stained-glass in 2003. By 2010, I had worked in stained-glass, fused glass, mosaic glass, kiln cast glass and even blown glass. It was a wonderful voyage of discovery in the medium and I wanted somehow to encapsulate my excitement at working in the area. 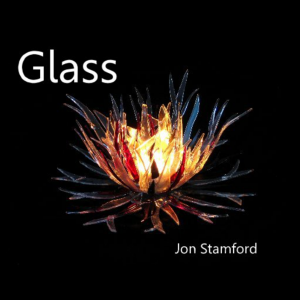 Glass is a book that contains many images of my different types of glass and represents a stage in my development as a glass artist. 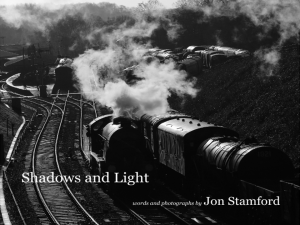 Shadows and Light has been a long time in the making– specifically 30 years. 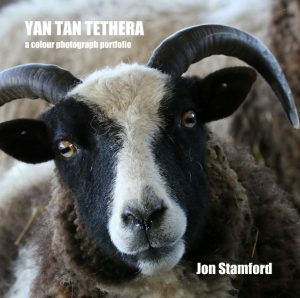 I’ve been taking photographs, analogue and digital, for three decades and have always felt that I wanted to compile the best of them into a single collection. In this respect the book is almost a lifetime retrospective (although I hope to write another one in 20 odd years with luck). It was certainly a labour of love and I have been overwhelmed by the warmth of its reception. 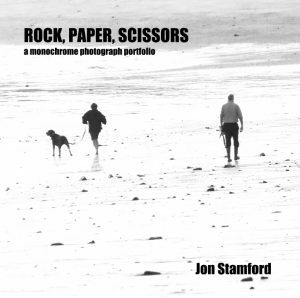 These are two extended portfolios of monochrome and colour photographs respectively. Only 10 copies of each were printed which are personalised by buyer.